· What should I do if I don't know the monogram? Try using just the first or last initial. · Do you offer Greek letters? We offer Greek letters in "curlz" or "block" styles if you'd like to have an item embroidered with your sorority or fraternity name! 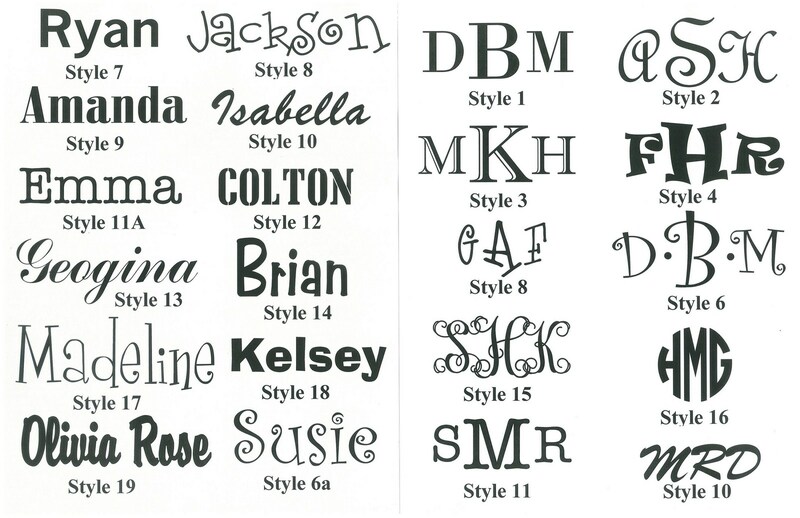 · What are my monogram font choices? 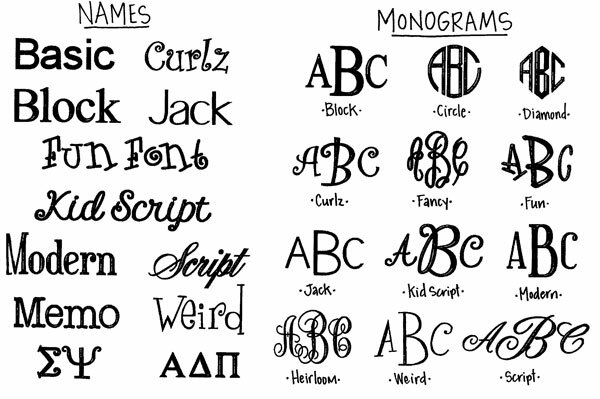 Check our fonts here: Monogram Fonts. 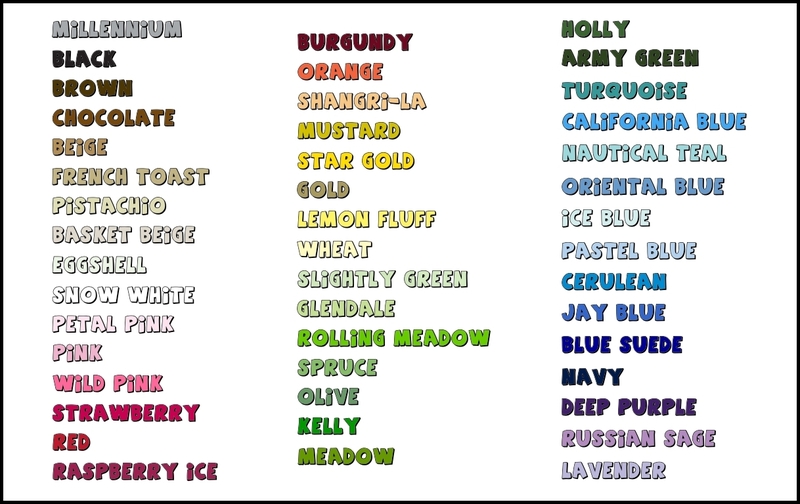 · What are my thread color choices? Check out our threads here: Thread Colors. · What are my vinyl font choices? Check out our vinyl fonts here: Vinyl Fonts. 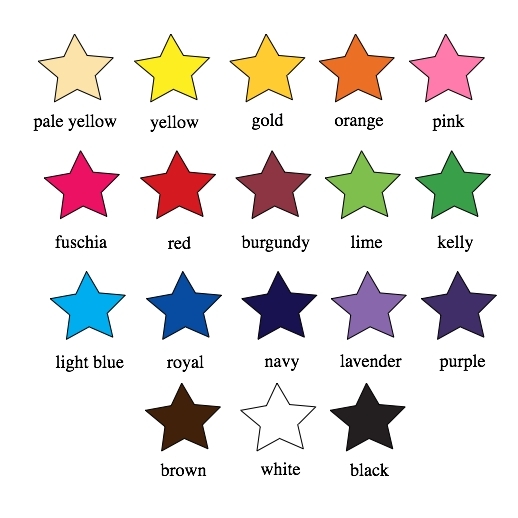 · What are my vinyl color choices? 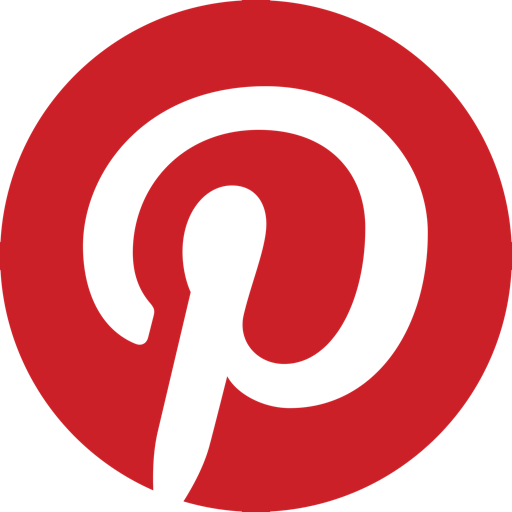 Check out our vinyl color choices here: Vinyl Colors. · What if my order is wrong? We will embroider the text exactly as you provide it to us and according to the sample styles provided unless otherwise noted. We strongly urge you to check your orders thoroughly before placing them. Check monograms, quantities, colors, etc. for errors. Bliss Designs Inc. does not accept returns for personalized items. If we make an error, we will gladly replace the gift for you. Please double check your personalization before placing your order! · When will my order arrive? Most items leave our store within 5-10 business days using United States Postal Service or UPS Ground, which then takes 2-7 business days to get to you. Handpainted items, fabric name blocks, kids' melamine plates, stationery, and monogram cutout necklaces take longer (please see individual items or call us for more details). Processing usually takes a bit longer in December and May. · What if I need my order ASAP? 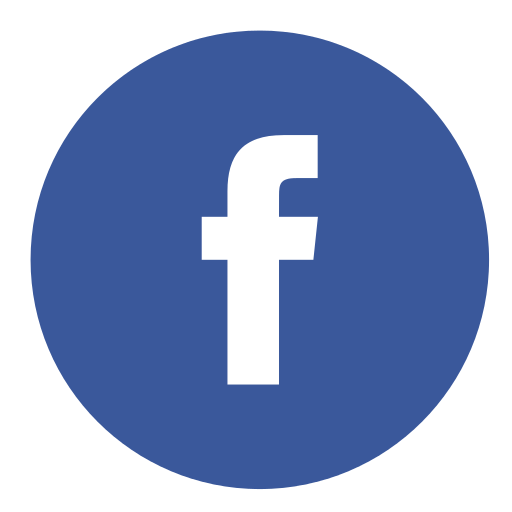 If you need your order before or on a certain day, please let us know in the comments section or call or email us and we will do our best. We can rush or overnight items to you for an extra fee. Please contact us. · Can I pick my order up at your shop? Don't want to pay for shipping? Pick up your order at our store for free! Just select the "In-Store Pickup" option at checkout. · I've already placed my order. Where can I get information? If you have just placed an order, thank you for your payment. Your transaction has been completed, and a receipt for your purchase has been emailed to you. You may log into your account at www.paypal.com/us to view details of this transaction. You will receive an email notification from Bliss Monogramming as soon as your order has shipped. Call us at 561-395-7048 or email us at help@blissmonogramming.com if you have any questions. · Do you offer international shipping? International shipping is available, starting at $40.00 per order. Additional fees may apply. Please contact us. · What are my gift wrapping options? We offer gift wrapping for $3 per item at checkout. Each item will be wrapped in cellophane with a colorful bow! Please include your gift message. · What happens if my order is wrong? We strongly urge you to check your orders thoroughly before placing them. Check monograms, quantities, colors, etc. for errors. Bliss Designs Inc. does not accept returns for personalized items. If we make an error, we will gladly replace the gift for you. Please double check your personalization before placing your order! · My order wasn't personalized. Can I return it? Non-personalized gifts are returnable within 7 days with prior approval by Bliss Designs Inc. Please contact us if you have any questions, concerns or special requests at 561-395-7048 or help@blissmonogramming.com. 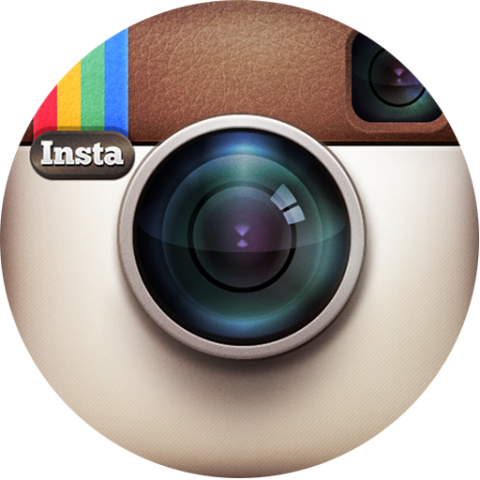 · We are happy to accommodate special requests, so please contact us with your ideas!